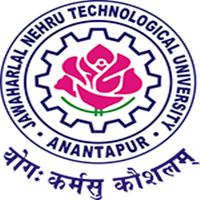 Notification for B.Tech I, II & III Years II semesters Supplementary Examinations December/January 2018/2019. LAST CHANCE FOR 2010 regular admitted and 2012 Lateral Entry admitted batches only. Centre of Examination: New Examinations Building, Old Campus, Before Polytechnic College, JNTU ANANTAPUR, Ananthapuramu. 1. Applications are available at the office of the Principal. 2. Duly filled-in applications along with the photocopies of marks sheets of earlier attempts, duly attested by the college principal should be handed over in the college office with the necessary fee. 3. Hall tickets will be issued only to the eligible candidates who fulfill the academic requirements of the University. 4. Detailed time-tables will be notified in the website www.jntua.ac.in under ‘Examinations’.